Surfside Primary School is a medium sized school of about 475 students, that has been operating since 1993. It is located in a residential area 2 km north/east of the central business district of the seaside resort of Ocean Grove, 28 kilometres from the provincial city of Geelong, on Victoria's Bellarine Peninsula. At Surfside Primary School, we are fully committed to protecting the safety of children. Our school supports and respects all children, staff and volunteers. We take a zero tolerance approach to all forms of child abuse and are fully committed to preventing child abuse, identifying risks early, and taking every reasonable action to eliminate the risk of child abuse. We provide an environment whereby all members of the school community are given the opportunity to become involved in our learning environment. The school motto is “Believe in Yourself”. At Surfside PS we have a commitment to a Safe, Fair and Friendly ethos which promotes emotional, physical, social and academic development. Safe, Fair and Friendly is the basis of our Code of Conduct for all in the school. Surfside Primary School aims to create highly engaging learning environments for children where there is focussed teaching in Literacy and Numeracy. There will be consolidation of the Victorian F-10 curriuclum with an emphasis on catering for all children on the learning continuum. School based assessments, Naplan, On Demand and other on line assessments will create a base to inform teaching and learning. 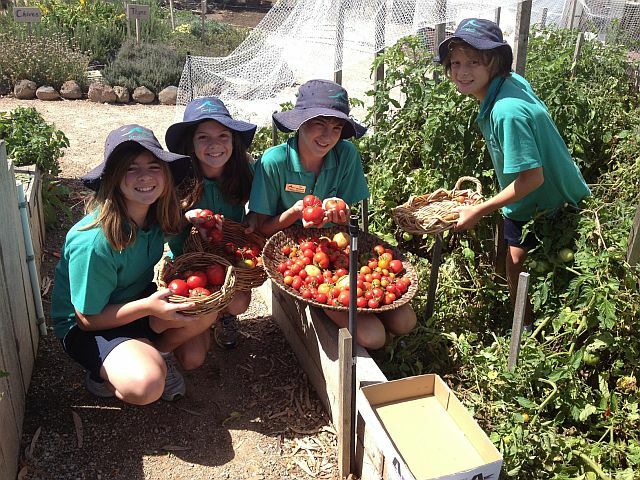 The Surfside Kitchen Garden, Developmental Curriculum and Inquiry Learning all add to the exciting learning culture of Surfside Primary School. Surfside has moved to Apple iPads as the preferred digital learning tool for students. The school has introduced a Bring Your Own Device methodology in grades 3-6. It is expected that all students in grades 5-6 will have access to individual iPads. There is a shared bank of iPads in all other grades. Each class is supported by a big screen LCD TV which has wireless connectivity to all iPads. There is a bank of shared Laptops available for students in the school Library. The main school building will service the Foundation to Grade two classes. The grade Three/Four classes are situated behind our Kitchen/Garden facility in brand new portables. The BER facility built in 2012 will house the grade Five/Six area. The school is fully air conditioned and includes: Library, Music room, Art room, School Hall and our wonderful Surfside Kitchen/Garden facility. The school is on a shared site with the junior campus of the Bellarine Secondary College. The Primary School site is extensive with a large oval, three sets of climbing equipment, and a playground for the Foundation students, all set on an attractive indigenous based landscape. School Council has endorsed an indigenous planting philosophy and the school is working towards being accredited as a Resource Smart school.